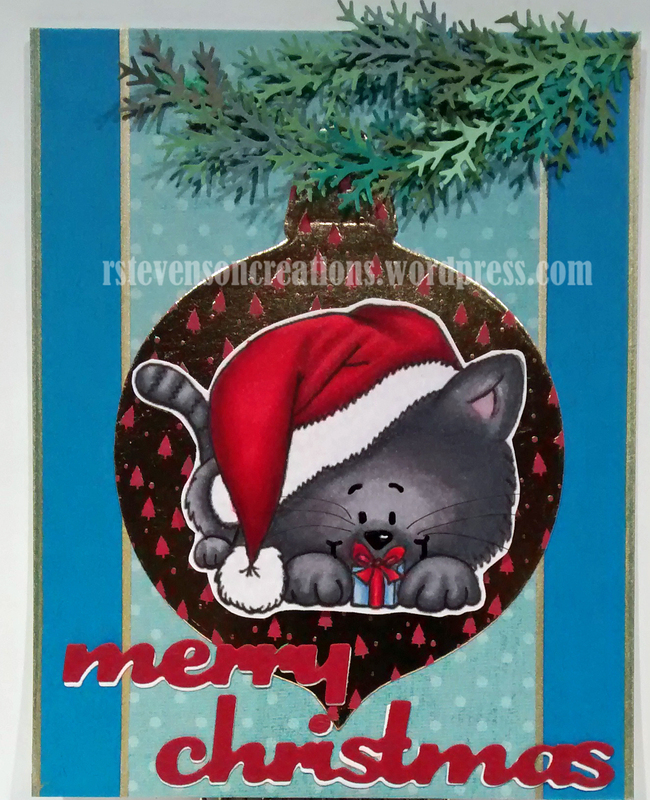 Sharing a card that I made for Christmas this year using Little Gift Kitty from Gerda Steiner Stamps. Printed out image onto Copic Marker X-Press It Blending Card. Coloured in image with a mixture of Spectrum Noir and Copic markers.